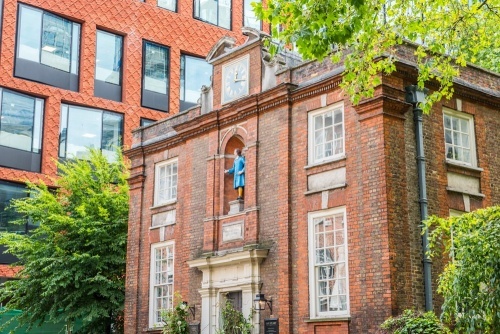 An elegant townhouse of red brick, Blewcoat was built in 1709 by a London brewer to provide education for poor children, Blewcoat remained a school until 1926, and for a time served as the National Trust's main London gift shop. 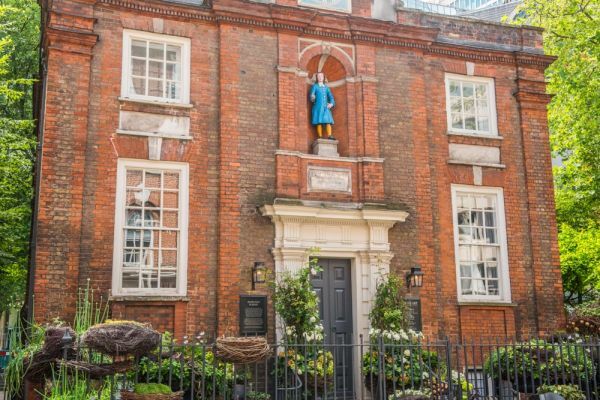 In 1688 a charity school was established on Duck Lane, Soho, with funds raised by public subscription. Its purpose was to teach 20 poor boys from the local parishes of St John and St Margaret to read, write, learn a trade, and gain instruction in religion. Not only were these 'charity boys' taught, they were clothed in a distinctive uniform, with a long blue coat which gave the school its name. The eye-catching colours were a matter of expedience; blue dye was the cheapest, and the stockings were soaked in saffron because it was said to repel rats who might otherwise bite the children's ankles. The charity boys were taught alongside students who paid a fee to attend. Many went on to become apprentices, and a very select few went on to further studies at university; a rarity in the days when only the sons of the nobility could afford to attend university. From 1714 until 1876 the school also admitted girls. 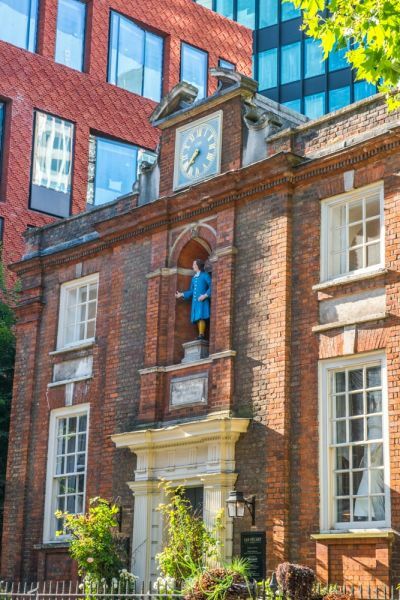 In 1709 the school moved to purpose-built premises on Caxton Street, donated by the Green family of brewers. The school closed in 1926. The building was used as a military store by US forces during WWII, and then as a youth club by the Girl Guides. The National Trust purchased the property in 1954 and used it as their main London headquarters, and later as a gift shop. In 2014 the school building was opened by British designer Ian Stuart as a luxury boutique, specialising in exclusive fashions. 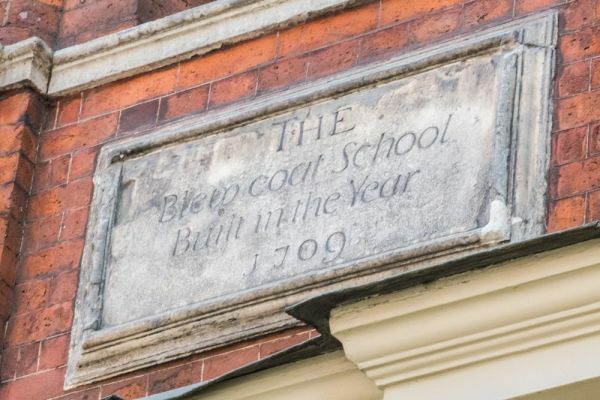 The Blewcoat School building was erected in 1709. It is built of a combination of yellow and red brick, dressed with stone around door and window openings. 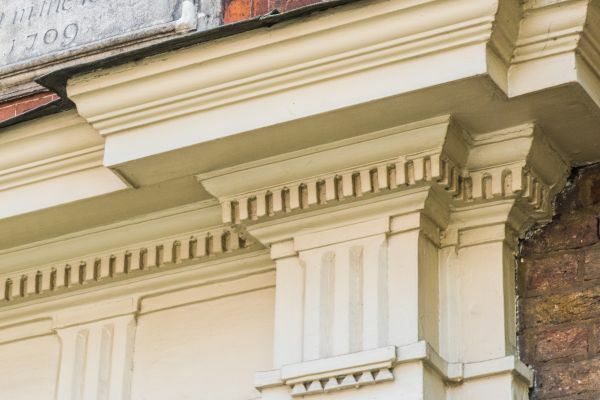 The exterior is embellished with neoclassical details, with Doric pillars at each corner. 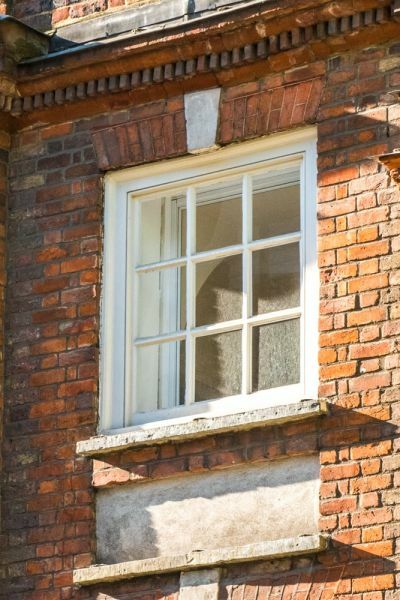 Over the doorway is a plaque that reads 'The Blewcoat School, built in the year 1709'. 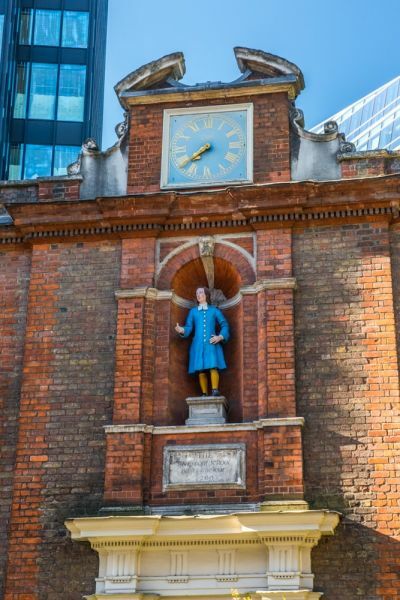 Above the plaque is a niche holding a large statue of a Blewcoat charity boy wearing the school's traditional uniform, with a long blue coat and bright yellow stockings. 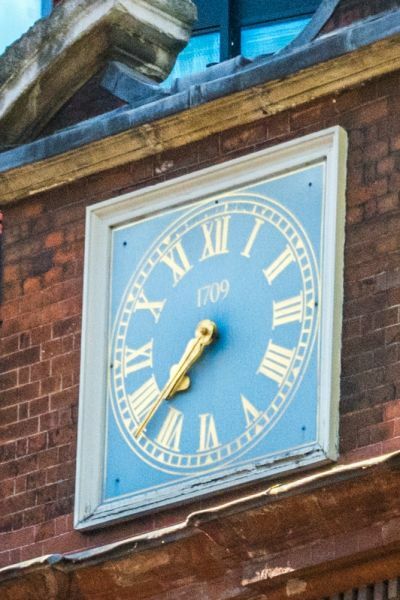 Above the statue niche is a clock with a blue face and gold hands and numerals, bearing the date 1709. Inside is a light, airy chamber lit by a gilded chandelier brought from Bruerne Abbey in Oxfordshire. We do not know who built the school building, but it is entirely possible that Sir Christopher Wren had a hand in the design; he was certainly working on St Paul's Cathedral at the same time, and the building is in his style. Since the building is currently in use as a shop displaying exclusive fashions so there are no tours of the interior per se, but there's nothing to stop you poking your nose inside the shop to have a look. 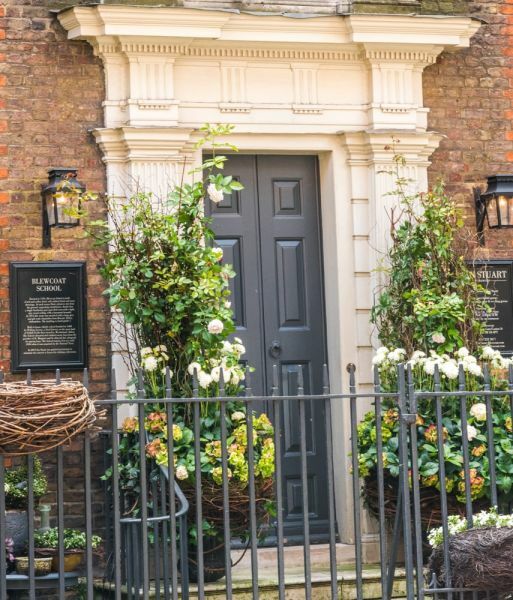 Finding Blewcoat School is very easy; it is located at the junction of Caxton Street and Buckingham Gate, a very short walk from St James Park tube station and a 7-8 minute stroll from the front of Buckingham Palace.